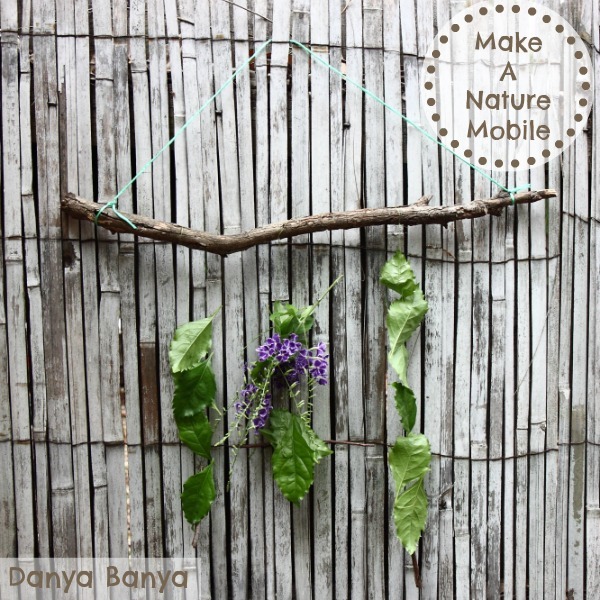 I keep seeing gorgeous nature mobiles pop up in my Pinterest feed, and I’ve been itching to make one with JJ for a while now. 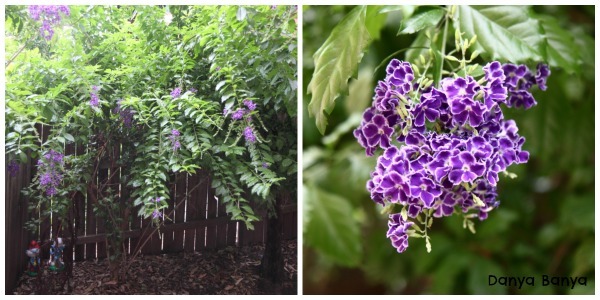 So when I noticed that this purple flowering plant (does anyone know it’s name?) 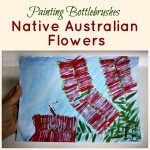 needed cutting back, I thought we could make creative use of those beautiful leaves and flowers. 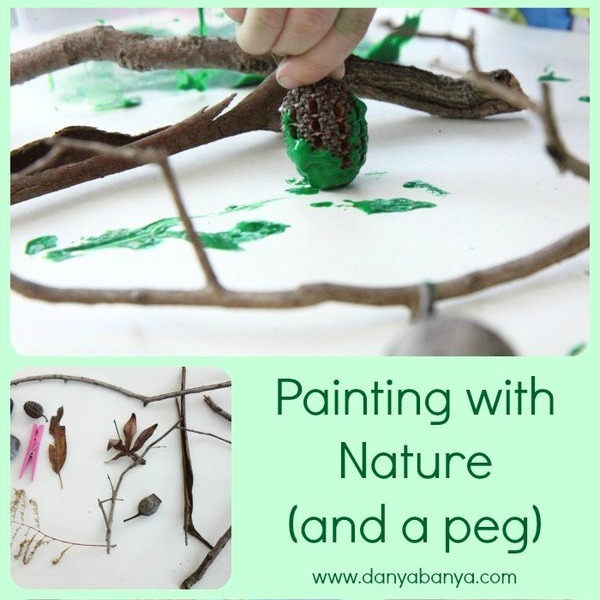 To make our nature mobile, we used 2 large darning needles, green cotton, green twine, a large stick, smaller twigs, a handful of leaves and flowers. I cut a length of cotton (less than a metre), tied off one end to a small twig, and threaded a needle onto the other end. 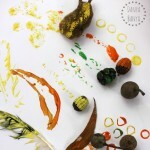 Then I repeated this process, so that JJ and I had a needle / thread / twig set each. And then we both set to work threading. We often craft alongside each other. I find it creates a sense of camaraderie. 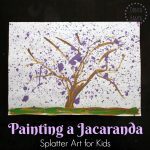 It also helps me to stop micromanaging JJ’s crafting experience, whilst allowing me to introduce techniques that JJ can copy if she chooses. (Often she watches but refuses to copy. And then on another crafting session, she’ll try out the new technique of her own accord). On this occasion, I threaded the needle through each leaf twice, whereas JJ chose to thread the needle through each leaf only once. 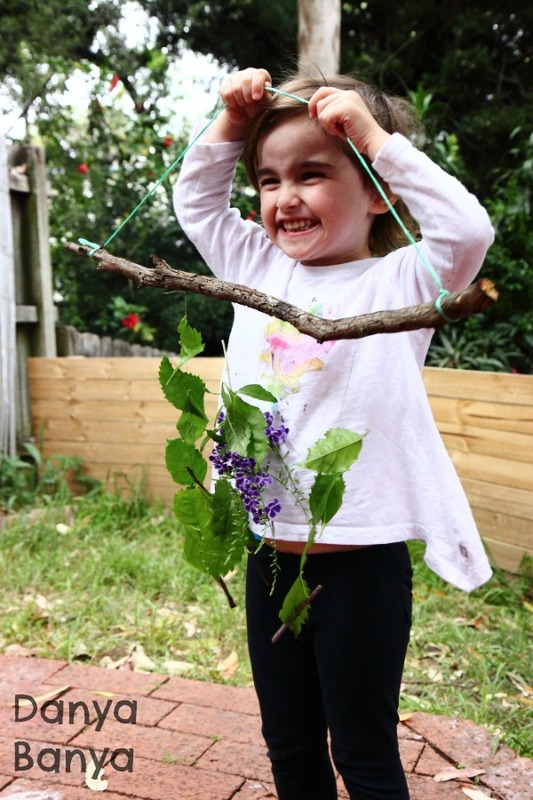 JJ made one strand of leaves & flowers, and I made two stands of just leaves, and I tied them all onto the larger stick. I suggested making more strands, but JJ declared the mobile finished, so I tied green twine across the top for hanging. She was quite impressed with the results! I thought it might look good hung on our stairwell, or above the laundry sliding door (both spots where we’d hung our mistletoes at Christmas), but JJ was adamant that the door knob of our front door was the perfect place. I think she preferred this because it was at a height where she could put it up and take it down herself. 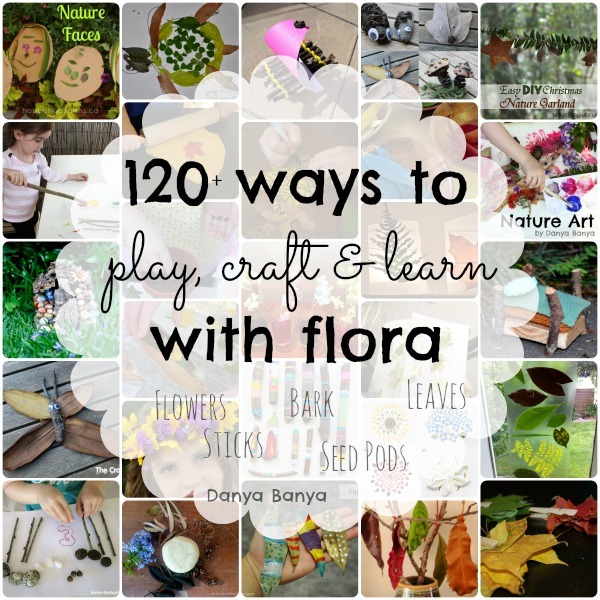 And if you are interested in more nature crafts, you might also like to check out 120 Ways to Play, Craft & Learn with Flora, Nature Art, or Painting with Nature (and a Peg). 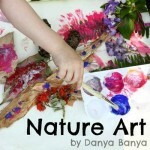 Lovely idea Danya! Your daughter is so adorable! Oh how I look forward to seeing flowers instead of snow! Love love love this…so pretty! On our list for nature play for sure. Beautiful! 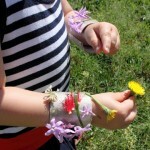 My girls would love to make one of these. Thanks for sharing on It's Friday, We're In Love. Stay tuned for our Leaves Round-Up coming next month!